. . . to find a larger hill, you have to walk through a valley FINDING NEW OPPORTUNITIES will force you to experiment in areas of uncertainty. 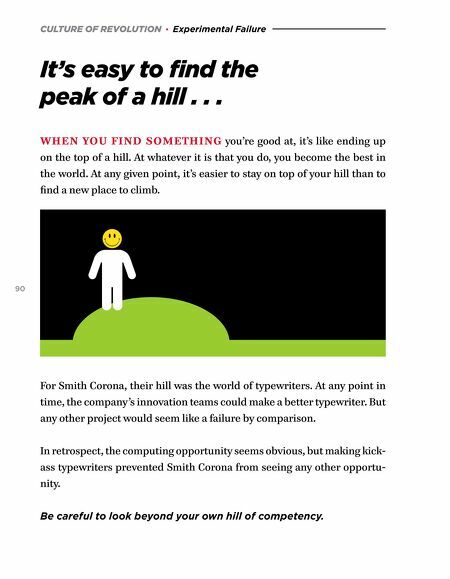 To discover a new hill, you'll need to fail, and you'll need to fail a lot. The key is to stay committed to the pursuit of some- thing new. 91 "Many of life's failures are people who did not realize how close they were to success when they gave up." 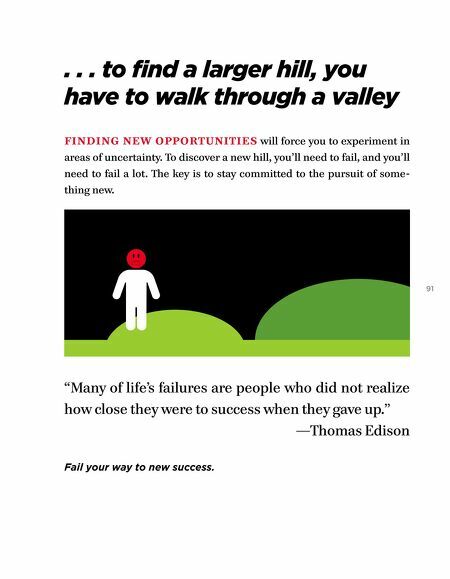 —Thomas Edison Fail your way to new success.